Named after the Declaration of Independence, Independence was founded on March 29, 1827, and quickly became an important frontier town. Since Independence was the farthest point westward on the Missouri River where steamboats or other cargo vessels could travel, it became a jumping-off point for the emerging fur trade, accommodating merchants and adventurers beginning the long trek westward on the Santa Fe Trail. On March 8, 1849, the Missouri General Assembly granted a home-rule charter to the town and on July 18, 1849, William McCoy was elected as its first mayor. 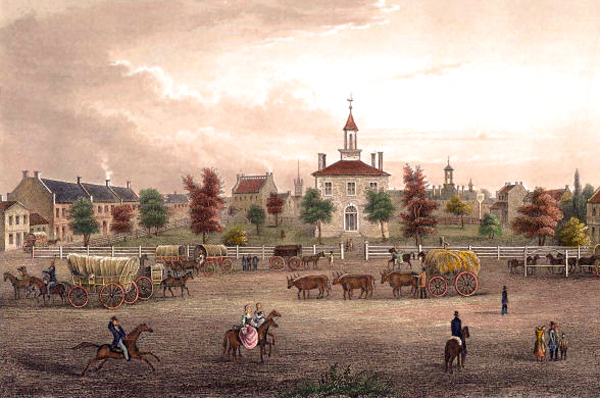 In the mid-19th century an Act of the United States Congress defined Independence as the start of the Oregon Trail. Former US President Harry S. Truman grew up in Independence, and would later return to the city after two terms as President. His wife, First Lady Bess Truman, was born and raised in Independence, and both are buried there. The Harry S. Truman National Historic Site (Truman's home) and the Harry S. Truman Presidential Library and Museum are both located in Independence, as is one of Truman's boyhood residences. As of the census of 2010, there were 116,830 people, 48,742 households, and 30,165 families residing in the city. Santa-Cali-Gon Days is an annual Labor Day festival held in Independence intermittently since 1940 and continuously since 1973, celebrating the city's heritage as a starting point of three major frontier trails: the Santa Fe, California and Oregon. 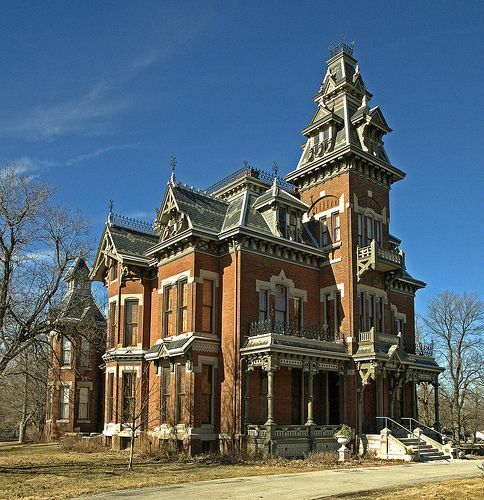 Another popular annual festival is the Vaile Strawberry Festival, which is held on the first Saturday of June at the Vaile Mansion, 1500 N. Liberty, five blocks north of the historic Square. The Independence Heritage Festival is a celebration of the diverse culture that exist in Independence. The Independence town square features numerous family-owned shops surrounding the old main courthouse, which was modeled after Philadelphia's Independence Hall. This courthouse houses Harry S. Truman's former courtroom and office. Click Here for more info about the City of Independence. Listing courtesy of Travis Richey of Chartwell Realty LLC. Listing courtesy of Lois Spargur of Keller Williams Platinum Prtnr. Listing courtesy of Kraig Johnson of HomeSmart Legacy. Listing courtesy of Keith McClain of ERA McClain Brothers.